Schenker Logistics Netherlands is the partner in international transport and logistic services. 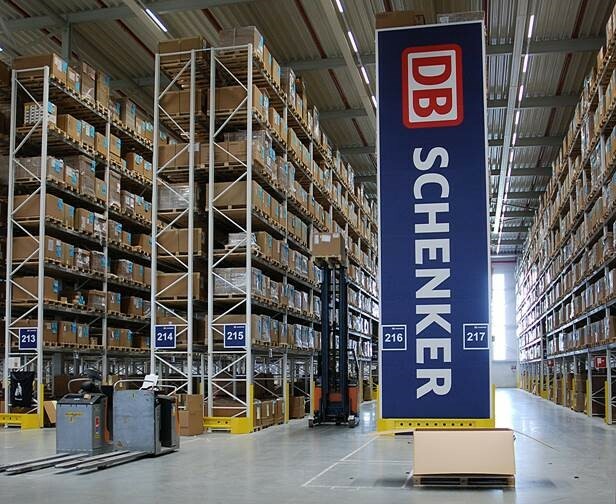 Parent company DB Schenker has 2000 locations worldwide (in 130 countries) and connects the economic regions via sea, over land and through air with one another. In the Netherlands Schenker has a network of logistic centers/offices throughout the Netherlands (15 locations). Angelina van den Enden – Teamleader Compensation of Benefits – working since 2013 at Schenker Logistics in the Netherlands, tells about the collaboration with TimeTell and Datafox. Since 2006 Schenker uses the software of TimeTell for time registration on projects. In the years that followed, Schenker has expanded the possibilities of TimeTell by further implementing various time registration options throughout all of the warehouse locations within the Netherlands. TimeTell makes use of its terminal registration through the hardware of Datafox. At this point in time, Schenker Logistics Netherlands uses over 40 Datafox terminals throughout the various locations. Through these terminals 3000 employees register their presence/departure on a daily basis. This data is linked to a HRM system that Schenker uses, which makes the processing of hours easier, because there are various shifts of hours which needs to be processed. TimeTell calculates the correct fees by the time registration, that has taken place. The collaboration between TimeTell and Schenker Logistics Netherlands has been intensified because of this. The Datafox terminals for time registration are stable and reliable. Currently through the various locations within Schenker are being equipped with the latest terminal model: the Evo 4.3. This terminal makes it possible to process the time registration and job registrations. TimeTell and Schenker Logistics Netherland have a solid collaboration.